Do I need an RN license and work experience to get into a Nursing Master’s program? In many career fields, a more advanced degree helps open up new and better opportunities. Nursing is no exception. Nurses who go on to complete their Masters degrees in Nursing are able to take on more medical responsibilities or contribute to educating future nurses. However, understanding what is required to get into a Nursing Masters program can help you decide whether or not it is the best career path. A Masters degree in Nursing takes a nurse’s education to the next level for those who want to work as nurse practitioners, certified nurse midwives, certified clinical nurse specialists and certified nurse anesthetists. 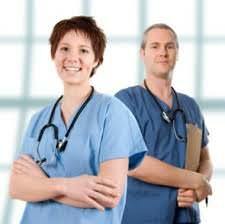 These careers have greater responsibilities than Registered Nurses or other nursing certification levels. For example, nurse anesthetists are able to administer anesthetics for surgery in dental offices and both in-patient and out-patient surgical facilities. However, those with a Masters degree in Nursing may choose a career in nursing administration or education. Nurse administrators run nursing teams in a health care facility, while nurse educators work to teach nursing students at various levels of certification. Masters program, a Nursing Masters program will vary based on the students’ needs, the school and how aggressively the program is approached. For example, a graduate student taking one class a semester will take longer to finish the program than a student who takes a full course load every semester. A student taking classes full-time will likely finish the program in eighteen to twenty-four months. Like most nursing programs, a Masters in Nursing requires both classroom and clinical hours, giving students hands-on experience they can use to apply what they learn. Most of the classwork consists of student-led seminars and roundtable discussions. As an educational program, students who want to earn a Masters degree in Nursing must have a baccalaureate degree from a college or university accredited by the Commission on Collegiate Nursing Education or National League for Nursing Accrediting Commission. Students are also required to submit scores from either the Graduate Record Examinations (GRE) or Miller Analogies Test (MAT), depending on the specific requirements of the graduate program. Transcripts from all previous colleges and universities are also required as part of the admissions process. In addition to the general educational requirements, students who want to earn a Masters in Nursing must have an active license as a Registered Nurse. Some colleges may require a license in the state the graduate program is in, while others may accept a license from another state. Before applying to a graduate program in Nursing, it is important to fully understand what is involved in the program, as well as your goals for the degree through research. A Masters degree in Nursing is an excellent way to further your nursing career, and open up new opportunities for the future. Whether you want to use the degree to help patients in new ways or be part of bringing new nurses to the field, a Masters degree in Nursing can take you to the next step of your dream career.